Which Cable Network Nearly Skipped Out on Climate Week? CNN’s climate change coverage almost disappeared like Malaysian Flight 370. 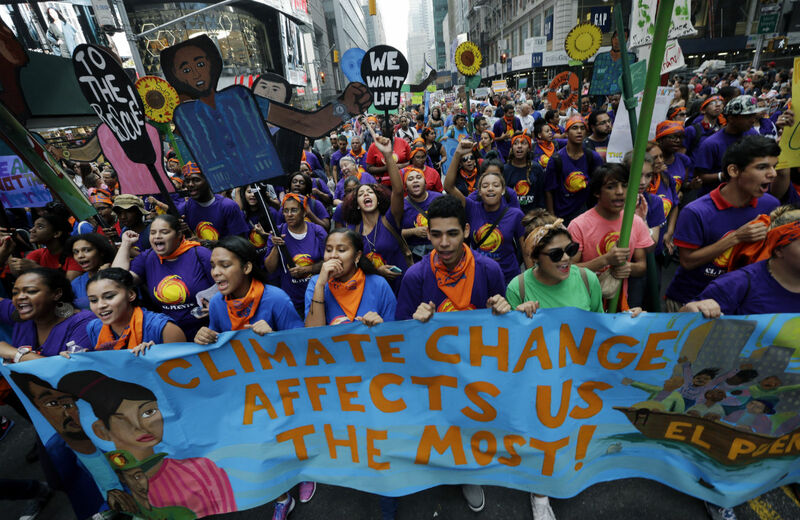 The corporate media’s inattention to climate change in general, and of Climate Week (the People’s Climate March, the UN Climate Summit, and related events like Flood Wall Street) in particular, has been shameful. Most notoriously, just hours before the September 21 march, not one of the four broadcast Sunday shows found it worth even mentioning—with the exception of Nation editor Katrina vanden Heuvel, who, in a panel on ABC’s This Week, squeezed in the observation that wars in the Middle East distract from “real security challenges” like “a catastrophic climate crisis, which the Pentagon has called a clear and emerging danger. There are 100,000 people marching outside this studio today because of that.” That number grew to about 400,000 throughout the day. You might have expected better from CNN, with its (former) focus on the worldwide news and all the time in the world to fill. True, global disaster doesn’t measure up to a missing plane (six days after Malaysian Airlines Flight 370 disappeared, CNN devoted 256 minutes to it—in just one six-hour period) or, for that matter, a missing white woman. Is CNN afraid of being tagged liberal? Afraid of sinking ratings? CNN, we understand—it’s not easy being green, especially when you’re obsessed with hitting the perfect shade of purple. But get over it. And all those extra minutes Fox devoted to the topic? Well, no surprise, MM found a “majority of Fox News’ coverage reported on climate week negatively,” mocking the participants and dismissing the science.